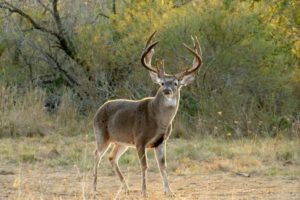 With the 2017 hunting season right around the corner, we are excited about what Encantado has in store. This past year was a great success with some exceptional trophy bucks harvested, 3 exceeding the 200″ mark! One beauty in particular was a huge framed typical with perfectly matched drop tines. This is one of the most aesthetic South Texas whitetails Mr. Brittingham has ever harvested. 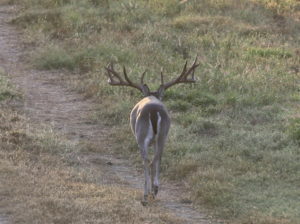 Please take the time to browse through our updated trophy gallery where you can see some of these amazing deer. Most importantly, this past hunting season gave us the chance to enjoy the company of new and old friends as we pursued these majestic animals in the heart of the brush country. Congratulations to all of our lucky hunters and we look forward to seeing you again in the future. We are now taking reservations for the 2017-2018 hunting season. © 2019 Briar Lakes Productions, Inc.